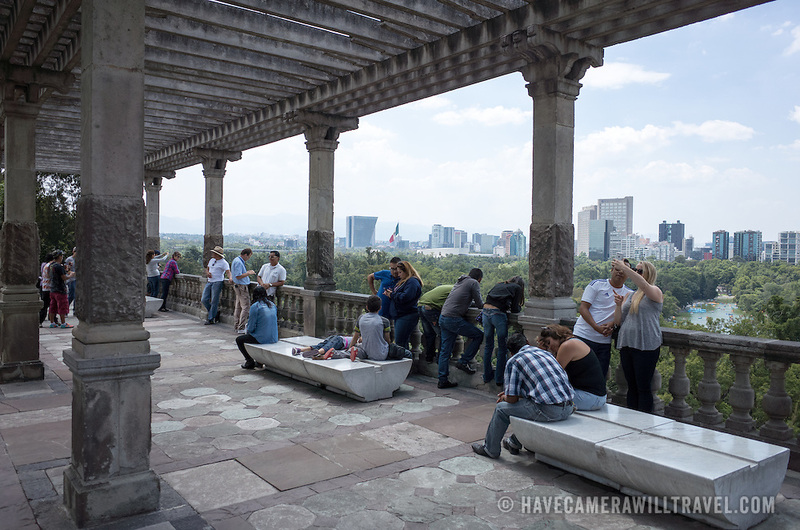 Tourists enjoy the view overlooking Chapultepec Forest from Chapultepec Castle. Since construction first started around 1785, Chapultepec Castle has been a Military Academy, Imperial residence, Presidential home, observatory, and is now Mexico's National History Museum (Museo Nacional de Historia). It sits on top of Chapultepec Hill in the heart of Mexico City.